Sri Lanka's beach hotels range from simple and friendly for the budget-conscious to luxurious and unique, for the discerning traveller - but even these are remarkably good value for money! 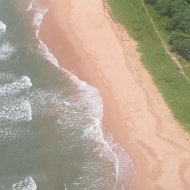 Most hotels are on the west coast of the island on the stretch from Negombo to Galle, with many centered around the resorts of Bentota and Beruwela. 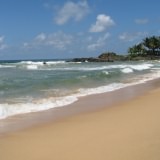 The beaches of Sri Lanka are perfect for a relaxing beach holiday, or why not combine the beaches of Sri Lanka with other parts of this fascinating country - spend a few days inland in the historical or cultural areas, or see as much as possible on a tour of Sri Lanka before heading on to the beach. 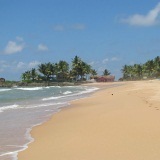 Have a look at our range of beach holidays in Sri Lanka. If you see something of interest call one of our friendly reservations staff on 020 8989 0970, or fill in a quote and we'll check availability and get back to you. If you're not sure what's best for you, ask to speak to one of our staff who've visited recently!